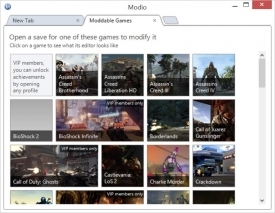 "Easily transfer game saves to and from your Xbox 360 using Modio and it's large online community." 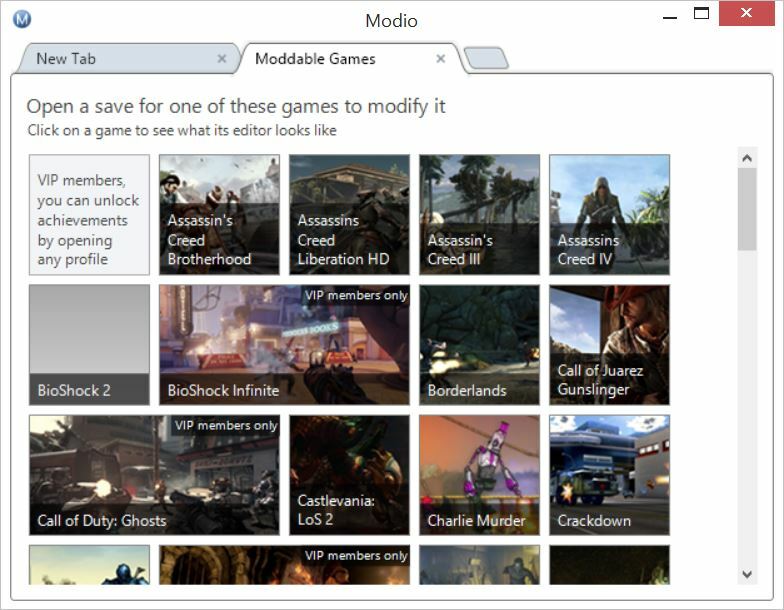 Make sharing your saved games a lot faster and easier with Modio, a file transfer application designed to work between your Windows PC and Xbox 360 so that you can access downloadable saved games from online. However, that's not all Modio can do, you can also share your saved games online with other people as well. Modio has a pretty large community, so that means there will be a lot of game saves available for you to use. Having a user friendly interface, Modio is a very easy to use application for sharing game saves with other users. In fact, it has a very close resemblance of the Google Chrome web browser, which makes it very familiar to most people who are used to searching for content through a simple web browsing experience. This also makes it very easy to navigate through the application and find the content that you want. Modio has a very large online community that makes finding game saves incredibly easy. In fact, there's probably a game save for pretty much every type of content for every game you can think of for the Xbox 360. That really makes it hard to ignore Modio since there are so many reasons one would want to try the application out, especially if you like help with your game saves. With a ton of game saves and mod posted every single day, there will always be new content for you to explore and try out. This also means there is a pretty active discussion message board, for those that like forum communities and potentially making new friends online. A community like the one behind Modio makes your gaming experiences better and even easier with help from other people just like you that enjoy playing video games on the Xbox 360. 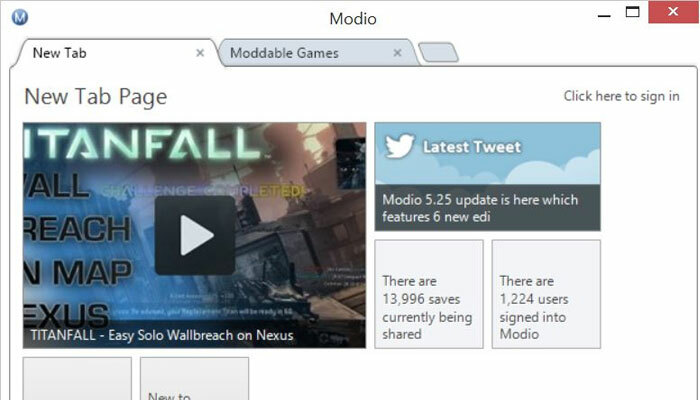 Modio for Xbox 360 takes advantage of the fact that people cannot simply share this information like they can on PCs, and allows the connection between the console and your Windows computer an easy experience without any problems at all. You can have all of this, too, and the amazing community behind the application by using this Modio download to your advantage. Simply download the application here at Rocky Bytes, and you'll have everything you need at your fingertips. Whether you are a user that wants to help other people by completing their game saves, sharing your game saves with the public, or a person that needs help completing your game saves - every one can take advantage of a simply program like Modio to help them succeed in any game they choose to play on the Xbox 360. There isn't any other application like Modio, no alternatives, so give it a try today. Available for Windows 7, Windows 8, XP and Vista! Enjoy with this Modio free download and happy modding!